NutritionKDT Optometry – Excellence Is The Only Option! | KDT Optometry - Excellence Is The Only Option! It is time we change the old adage, for a banana a day may keep blindness away. Eating a banana daily is likely to boost eye health and prevent vision-related diseases, a study has found. Researchers have found that bananas have carotenoid — a compound that turn fruits and vegetables red, orange or yellow and are converted into vitamin A, important precursors for eye health — in the liver. According to previous research, foods containing high levels of carotenoids also protect against chronic disease, including certain cancers, cardiovascular disease and diabetes. The study showed that banana rich in provitamin A carotenoids may offer a potential food source for alleviating vitamin A deficiency — important for sight. To combat vitamin A deficiency, researchers have been investigating methods to boost carotenoids in bananas. 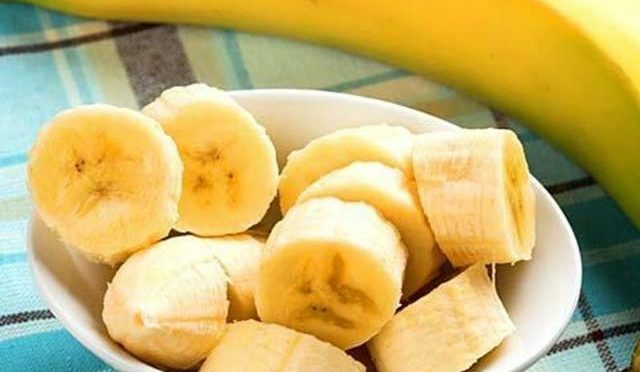 Cara L. Mortimer and other researchers from Queensland University of Technology in Australia studied two banana varieties to find out why they make very different amounts of carotenoids. They found that the pale yellow, low-carotenoid cavendish variety produces more of an enzyme that breaks down carotenoids. In addition, another variety stashes its carotenoids in microscopic sacs during ripening, shifting the chemical equilibrium in the fruit so it can make even higher levels of these substances. The findings, published in ACS’ Journal of Agricultural and Food Chemistry, can someday help in the development of banana varieties with enhanced health benefits. Bananas are ideal food for young children and families for many regions of the world, because of their sweetness, texture, portion size, familiarity, availability, convenience, versatility and cost. Researchers at Brigham and Women’s Hospital and Harvard Medical School followed more than 100,000 men and women who were enrolled in two major medical studies for a period of more than 28 years. Everyone in these studies was 40 years or older, and none had glaucoma at the start of the study. 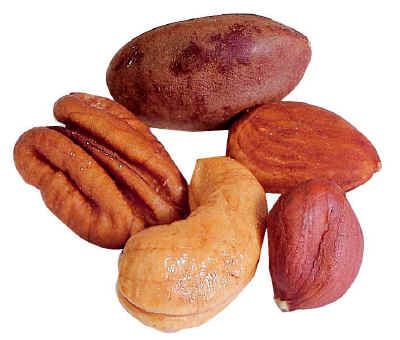 The reason these super foods offer such great protection is related to the dietary nitrate they contain. It’s thought that glaucoma impairs blood flow to the optic nerve. Nitric oxide helps regulate this flow. 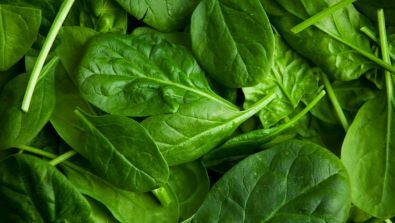 Since leafy greens contain high levels of nitrates, the precursor to nitric oxide, consuming them likely keeps things running more smoothly. The study was published in JAMA Ophthalmology this month — A.H. This article was originally published on the All About Vision website. Poor vision has many causes and treatments, and as you grow older, you will likely experience some type of vision loss or reduction in visual performance. For older adults, bright lights, glare while driving at night and even blindness can dramatically affect quality of life, but the treatment isn’t just glasses or a stronger prescription – it’s also nutrition and supplementation. Age-related macular degeneration (AMD) is the leading cause of blindness for Americans older than 60, according to the American Optometric Association. The Centers for Disease Control and Prevention (CDC) estimates 7.3 million people are at substantial risk for vision loss from AMD. Other estimates indicate that as our population continues to rapidly age, as many as one in three could be diagnosed with AMD in the next 20 years. AMD deteriorates central vision, affecting everything from seeing faces clearly to literally having no central vision at all. Key risk factors for AMD are age, family history, smoking (past or present), low macular pigment, light skin and eyes, obesity and Caucasian women are also at slightly higher risk. Macular Pigment Optical Density (MPOD) is a brief, non-intrusive exam performed by many optometrists throughout the country, which measures macular pigment in the back of the eye. Think of macular pigment as “internal sunglasses” for the back of your eye – they absorb harmful blue light that can adversely affect eye health. Internal sunglasses protect the photoreceptors in the back of the eye – specifically the cones, which are responsible for central vision, color, sharpness and sensitivity to bright light, among others. Two key carotenoids, Zeaxanthin (zee-uh-zan-thin) and Lutein, comprise the internal sunglasses, which can become thin as we age, unable to block or absorb harmful blue light. In order to keep the internal sunglasses thick and dense, it is important to replenish Zeaxanthin, the predominant carotenoid in the area where the concentration of cones is the highest. Zeaxanthin is very scarce in the average daily diet, and vegetables like kale, corn, collard greens, spinach, and peppers naturally provide nutrients to help maintain macular health, but supplementation is often necessary. For example, one would have to eat approximately 20 ears of corn to get a recommended dosage of 8 to 10 milligrams of natural dietary Zeaxanthin per day. Supplements like the EyePromise brand of eye vitamins help rebuild macular pigment through unique nutritional formulas that feature the highest levels of all natural Zeaxanthin, derived from paprika. In addition to protection, Zeaxanthin and Lutein can improve visual performance, reduce glare issues and sensitivity to bright light, as well as improve color intensity and contrast sensitivity. The Washington Post (9/14, Huget) in its “Eat, Drink & Be Healthy” column lists some foods and health benefits according to body parts. Egg yolks and yellow corn aid the eyes because “carotenoids that give fruits and vegetables their color, may help ward off age-related macular degeneration.” The article mentions foods that benefit the brain (salmon, tuna, sardines); bones (milk, fortified soy beverages); heart (baked potato, prune juice); lungs (broccoli, Brussels sprouts, bok choy); stomach (ginger); colon (beans and peas); prostate (green tea); ovaries (ice cream) and mentions the relevant study and why the respective foods may have the beneficial effects. The Wall Street Journal (8/24, Wang, Subscription Publication) reports that the study , published in the Journal of the American Medical Association, provides more proof that simply reducing dietary fat may not be the best way to boost one’s heart health. The Los Angeles Times (8/24, Healy) reports that for the “study tested a diet that contained a portfolio of cholesterol-fighting foods such as soy protein, nuts, ‘sticky’ fiber such as that found in oats and barley, and plant sterols.” The 345 participants, all of whom had high cholesterol, “each followed one of three diets: an ‘intensive portfolio’ diet, a ‘routine portfolio’ diet, or a high-fiber, low-saturated-fat diet rich in produce and whole grains.” Of “the 267 subjects who completed the trial, all three groups lost roughly an equal amount of weight,” but participants “on one of the portfolio diets – intensive or routine – saw their LDL cholesterol levels decline between 13.1% and 13.8% after six months,” compared to the 3% decline in LDL levels seen in those on the high-fiber, low-saturated-fat diet. Flavonoids are a class of phytochemicals found in plant pigments that has been said to act as an antioxidant, enhance effects of vitamin C and strengthen cell tissues. Today, one of the most talked about flavonoids is quercetin. Quercetin is found in apples, onions, citrus fruits, berries, red grapes, broccoli, cocoa, and tea. It may not only protect us against heart disease and cancer, but according to recent research, it may increase endurance for people who are beginning exercise regimens. It may not work as effectively in trained athletes. Carotenoids are class of phytochemicals with more than 600 naturally occurring pigments synthesized by plants, algae, and photosynthetic bacteria. Carotenoids are found in the most richly colored yellow, orange, and red fruits and vegetables like pumpkin, tomatoes, tangerines, cantaloupe, carrots, squash, and watermelons. Carontenoids are known for their high antioxidant properties and protective effects against certain cancers, like prostate. 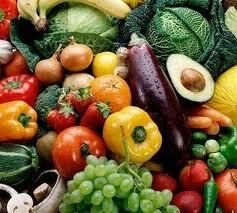 Alpha-carotene, beta-carotene, lutein, lycopene, and zeaxathin are the most common dietary carotenoids. Beta-carotene found in carrots and other fruits and veggies can be converted to retinol which is a pre-cursor to vitamin A which is important for maintaining eyehealth. For some of these foods, cooking and chopping may increase the availability and enhance their beneficial effects. Chlorophyll is a class of phytochemicals that is responsible for giving plants their green pigment. Studies have found that chlorophyll has anti-inflammatory, antioxidant, and wound-healing properties. Foods that are high in chlorophyll are easy to spot—you know, the ones kids say “Yuck!” to—spinach, broccoli, green beans, arugla, and endive. I say YUM! Isothyocynates are a class of phytochemicals found in cruciferous vegetables like bok choy, broccoli, brussel sprouts, cabbage, cauliflower, kale, mustard, radish, and watercress. These vegetables are rich sources of glucosinolate, the precursor to isothiocynates.. Research indicates that increased intake of isothyoncynates may inhibit cancer cell growth and cause cells to die. To maintain high levels of this phytochemical you really want to reduce cooking time and use minimal amounts of liquid because glucosinolate is leeched into water. The best way to absorb the phytochemicals in these foods is to eat them raw or to use cooking techniques like steaming or microwaving. Filmed on July 8th, 2011, we finished our discussion on the proper supplementation to insure great eye health and overall physical health. Our emphasis was on strong anti-oxidants that help the body rid of free radicals which can cause cancer and other degenerative diseases. We also went into detail about diabetic retinopathy caused by diabetes, macular degeneration, and glaucoma, discussing why OPC-3 and omega 3 fish oils are considered extremely potent agents. There is a huge variance in quality when it comes to these products especially the fish oils so we will recommend the very best. 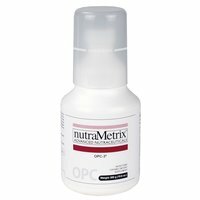 What Makes nutraMetrix Isotonix OPC-3® Unique? What Makes Heart Health™ Essential Omega III Fish Oil with Vitamin E Unique? 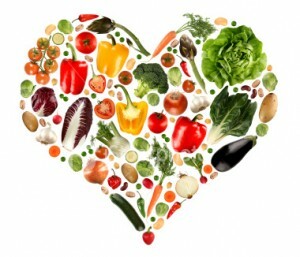 Heart Health Essential Omega III with Vitamin E is a superior product due to a number of factors. The best fish are used to produce a clean and safe product that is rich in eicosapentaenoic acid (EPA) and docosahexaenoic acid (DHA). It also contains 3000mg of fish oil where most other commercial products contain a third of the total fish oil contained in Heart Health Essential Omega III. 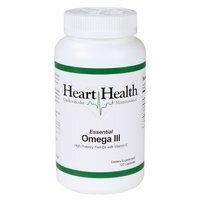 Heart Health Essential Omega III comes from small fish where other competitive products use large fish which are more likely to accumulate toxins. Heart Health Essential Omega III provides a high quality, high purity product with significant percentages of the health promoting EPA and DHA. The fish oil in Heart Health Essential Omega III with Vitamin E comes from sardines and anchovies harvested off the coast of Peru. Not only do anchovies and sardines have a high omega III content, they also have high percentages of eicosapentaenoic acid (EPA) and docosahexaenoic acid (DHA). Anchovies and sardines have a short lifecycle making them an ideal source of fish oil because they are less prone to accumulating environmental toxins that can be found in larger, longer-lived fish. Contaminants are generally low in sardines and anchovies even before they go through an intense purification process. Every batch of fish oil is hand selected and tested prior to processing by our manufacturer and must pass more than 200 quality checks during the production process. The study’s lead author “said the findings may also suggest a change in treatment algorithm in type 2 diabetes, with diet as the first line therapy, then a combination of diet and exercise, and finally diet plus activity and metformin if the two prior approaches fail,” MedPage Today (6/25, Fiore) reported. But, “in an accompanying comment , Frank Hu, MD, of Harvard School of Public Health, wrote that the results do not necessarily mean that an increase in physical activity is ineffective for diabetes management.” Hu wrote, “It is possible that modification of two complex behaviors at the same time is no more effective than a change in one.” Medscape (6/26, Canavan) also covered the story. One of the biggest myths out there is the myth that eating healthy costs too much. 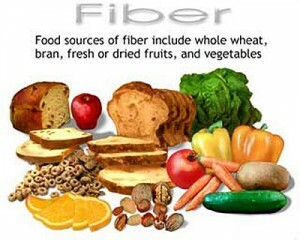 Yet the foods on the left would feed a family of two or more for 4-7 days… the foods on the right? 2-3 days if you live through it. 3. Eat meat only 3-4 times per week and use black beans with rice or inexpensive tuna for your other days. I eat tuna cooked in a skillet with lots of veggies and some olive oil almost every night and I LOVE the taste! Jon Benson’s book The Every Other Day Dietplan ( http://www.jonbensonfitness.com/go/kdtruong/eodd) has over 40 pages of recipes in it to help you eat healthy and cheap… and you can still eat out and consume your favorite foods several times per week. Do we ‘really’ need to talk about buy new (usually larger) clothes every year or two? Or about the health care costs associated with being even 20 pounds over your ideal weight, let alone more? How about the time you miss from work with excessive colds? 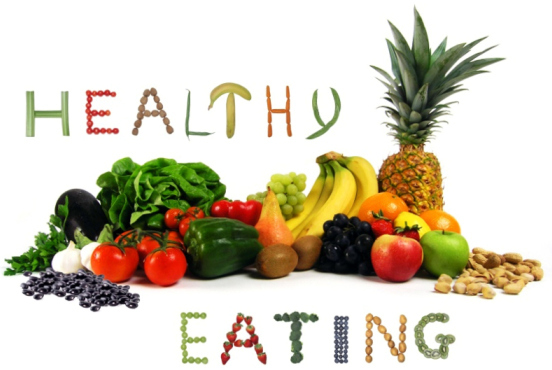 Eating healthy and taking care of your body adds years to your life… and for the record, the years eating poorly takes away from your life, on average, costs each American over 80,000 in medical expenses. 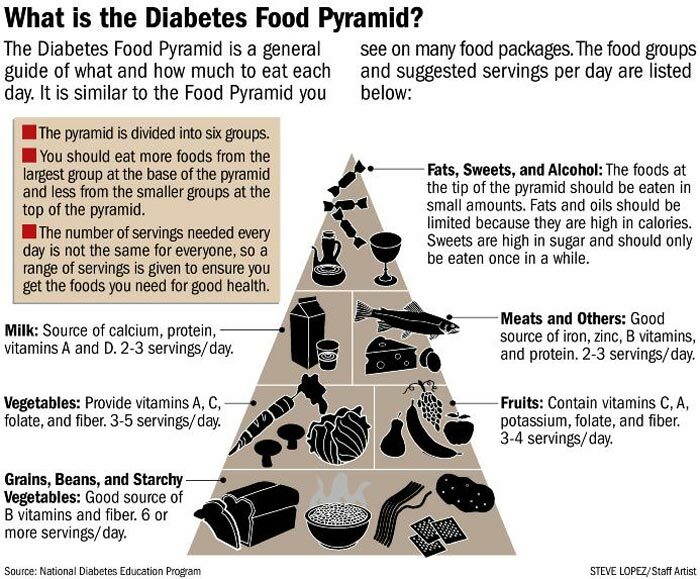 May 26, 2011 — In an exclusive interview with WebMD, the U.S. Department of Agriculture (USDA) says the replacement for the Food Pyramid will be announced on June 2 — and that the new icon heralds a “monumental effort” to improve America’s health. Why a new icon? The pyramid really does not capture the public’s attention anymore, Robert C. Post, PhD, deputy director of the USDA Center for Nutrition Policy and Promotion, tells WebMD. One of the few people who already has seen the icon is WebMD Director of Nutrition Kathleen Zelman, RD. You’ll be seeing the icon everywhere. Every relevant federal agency will be doing its part. The White House will play a leading role, coordinating the new USDA/HHS dietary guidelines with Michelle Obama’s Let’s Move initiative. Compare sodium in foods like soup, bread, and frozen meals, and choose the foods with lower numbers. First up will be the “make half of your plate fruits and vegetables” advice. It will be supported by a wide array of guidance on exactly how to do this. For example, one might add fruit to a leafy green salad. Or replace a sugary dessert with a bowl of fruit. Post notes that the government can’t do this alone. Key to the plan is a myriad of private/public partnerships with a wide variety of businesses ranging from grocery to media companies. “The fact they are reaching out to a broad partnership is important, because we need all the ammunition we can get to fight the epidemics of obesity and diabetes,” Zelman says. Robert C. Post, PhD, deputy director, Center for Nutrition Policy and Promotion, USDA. Kathleen Zelman, RD, director of nutrition, WebMD. 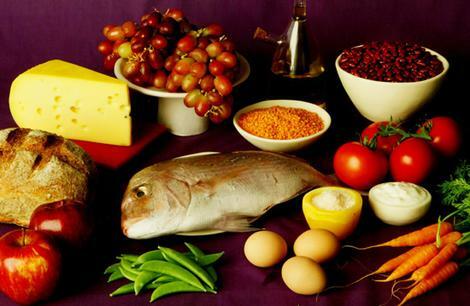 USDA and HHS, 2010 Dietary Guidelines, released Jan. 31, 2011. We filmed our third episode for VietNewsTV on Friday May 6. Our special guest was Dr. Hoang Ho, who is the owner/optometrist of Healthy I Care Optometry located inside the Walmart in the Clairemont area. An emphasis on OPC-3 will be discussed on the second episode and here is a brief overview. My book The Every Other Day Diet has over 40 pages of recipes in it to help you eat healthy and cheap… and you can still eat out and consume your favorite foods several times per week. Like any good accountant would suggest, you need to look at your ROI (return on investment) if nothing else. What does investing in a better body, greater health, and vibrant energy do for your life? How can that actually translate into more income AND less expense? Elevated Levels Of Five Amino Acids Associated With Development Of Type 2 Diabetes. WebMD (3/20, Warner) reported, “Elevated levels of a group of five amino acids may predict the development of diabetes years before any noticeable symptoms occur,” according to a study published in the journal Nature Medicine. After following 2,422 adults for 12 years, “researchers found that blood tests that screened for these amino acids accurately predicted risk of type 2 diabetes in otherwise healthy adults as well as in those with traditional risk factors, such as obesity.” Notably, “elevated levels of five amino acids, isoleucine, leucine, valine, tyrosine, and phenylalanine, were associated with the development of type 2 diabetes.” The UK’s Daily Mail (3/21, Derbyshire) and the UK’s Independent (3/21, O’Connor) also cover the story.